Your company is perfect. I'm glad to work with you. Hi Jessie. You have done very well. Thanks. Hi, thanks for your support. I'm so lucky to work with you and your company. Cheers. 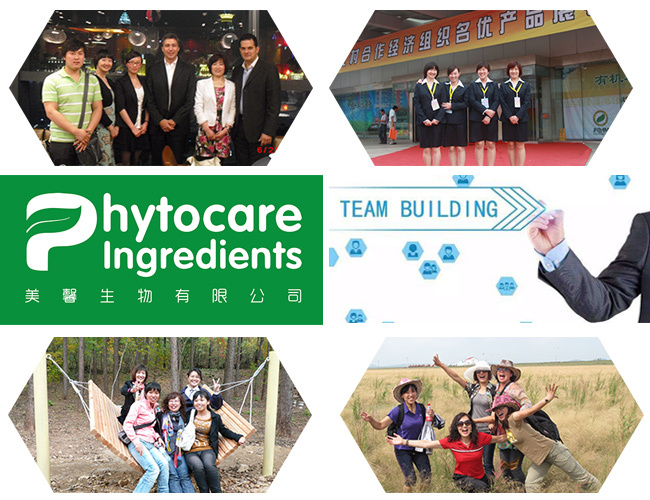 Phytocare Ingredients Co., Ltd is located in Shenyang city, which is the biggest city in Northeast China where several raw materials for nutritionl products are planted. The company specializes in natural plant extracts, natural plant oils, organic plant oils and oil powder for pharmaceutical, cosmetic, dietary supplement and nutritional&functional food industries. We took part in investment of operation of a plant extract factory in 2013, after that, with the growing of our company, we have established strategic partnerships with another two factories as our production basements. As a reliable and ideal supplier, we have been servicing customers in more than 30 countries worldwide for years. We regard quality as the life of our company. 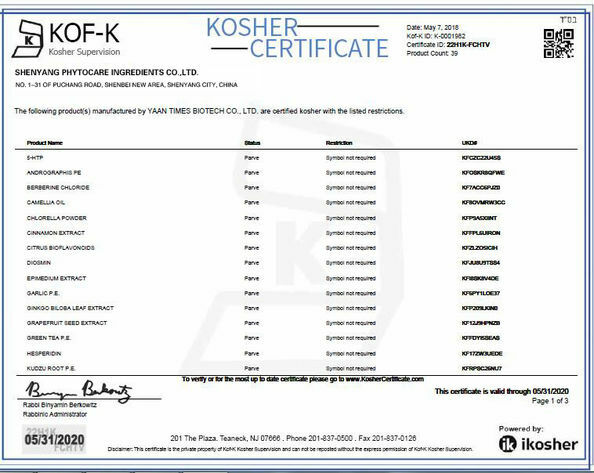 Our factories have been certified for ISO9001, ISO22000, HACCP, GMP, NSF, ORGANIC, KOSHER, HALAL. 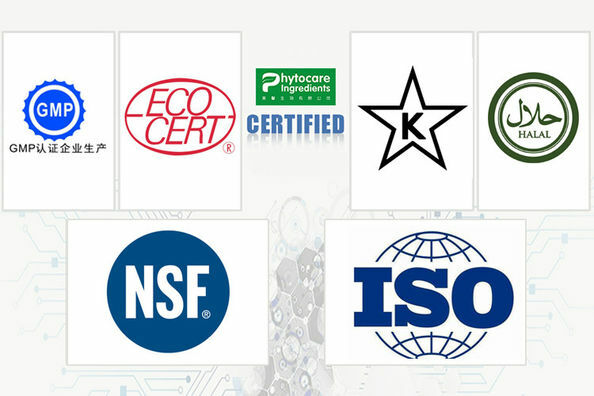 Our QA system performs us offering products to with premium quality to customers. Advanced production facilities enable us realizing production strictly according to guides of quality management system from raw material processing to finished product. In-house laboratories are well equipped with advanced testing instruments, such as HPLC, GC, Atomatic Absorption Meter and other instruments, not for quality control but for customers' R&D projects. Our mission is striving for being Premium Supplier of Natural Plant Products/Ingredients in China! Offering reliable quality and excellent service are our commitment to customers. We do believe customers’ success is our success. We do our best to creat a win-win business relation as long as our cooperation starts. Welcome contact us freely for details! Enterprise Spirit: High Quality, Best Service, Continuous Improvement. 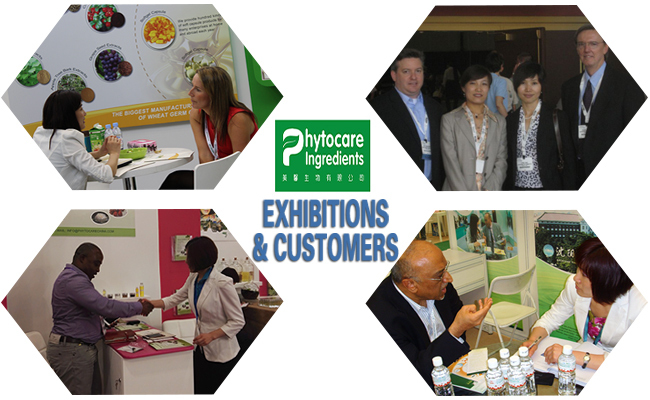 Shenyang Phytocare Ingredients Co., Ltd. was registered in Shenyang. Today, as a reliable and ideal supplier, we have been servicing customers in more than 30 countries worldwide for years. Future, to realize our ideal, being premium supplier of natural plant products/ingredients in China. Offering reliable quality and excellent service are our commitment to customers. 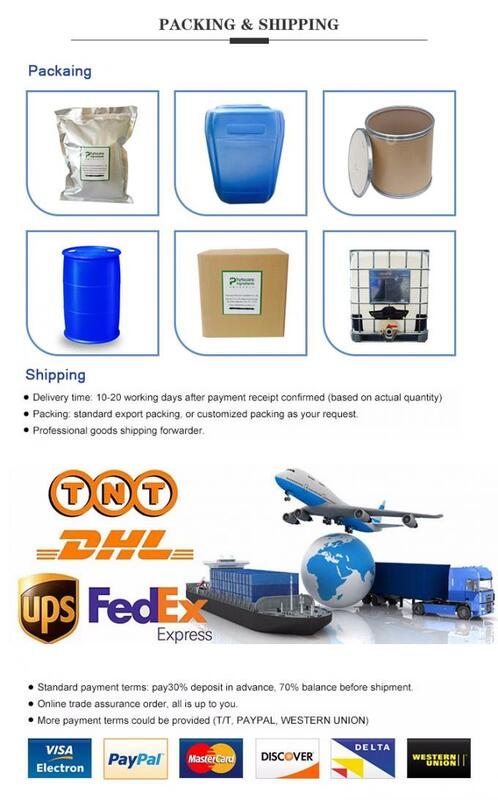 1.Which port can you arrange shipping for products? Of course we can send 200g, 500g, 800g once customer pay for the big sample. We'd like to support customers' R&D projects. 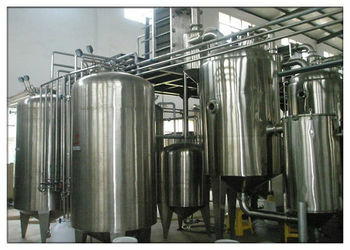 3.Is possible to visit your factory? Yes. 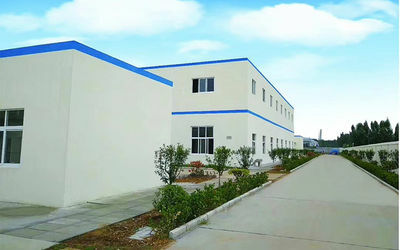 We sincerely welcome customers visit our plant for auditing. 4. Can you offer samples? Yes, we can offer sample. The sample quantity depends on the value and test items. 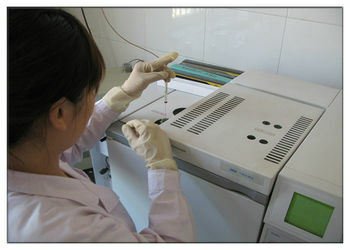 We’d like offer proper sample after deeper communication with customer. 5. Can you support documentations? Yes, We would like to offer relevant documentations for auditing. 6. Is there price difference between small quantity and big quantity? We are charged for exporting procedures, some is not on the basis of quantity, it is on the basis of orders.So this causing a higher cost for small quantity. Strong team work makes us continuous improvement and growth. China Good Quality Plant Extract Powder Supplier. Copyright © 2017 - 2019 plants-extracts.com. All Rights Reserved.